If you’re an insurance agency looking to have a new website developed, consider a WordPress site. WordPress is running approximately 31% of the worlds websites and is trusted by everyone from casual bloggers to major businesses. WordPress is versatile, quick and easily manipulated into exactly the site you’d love. Tosten Marketing has been developing WordPress websites for Insurance Agents since 2012. What makes WordPress great for Insurance websites? WordPress not only looks great, but you can run your blog with posts and share buttons right on the same platform. This site is built on WordPress. Look around at all the great features. Search engines love WordPress. Easily optimize your insurance website with SEO plugins like Yoast SEO. With nearly limitless customization available, why wouldn’t your insurance agency be using WordPress? Simplicity: WordPress is really easy to use! If you’re considering writing a blog, there is no better option. Manage from Anywhere: Like to work from home late at night? If you need to access your website, you can login from anywhere, anytime. No HTML requirements: Once we design your site for you, we’ll lock down the theme so you don’t have to worry about making a mistake w/ HTML. Search Engine Friendly: WordPress is so clean and simple that all search engines can easily index your information. Additionally, each page and post of your website is indexed individually. Customization: We customize each insurance agency WordPress website individually so 100% of our clients look custom. Custom look with out the price. 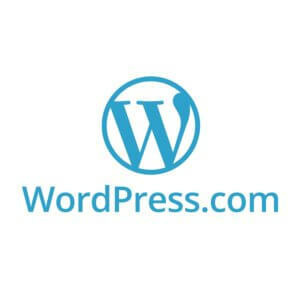 Changes: Changes are so easy with WordPress. Because they’re easy, it wont’ cost you an arm and a leg for changes to be made to your site. Chat ready: Easily add chat functionality to your website. Still not sure if WordPress is right for you? Request a call from one of our staff members to walk you through a live WordPress site to show you all the great features. Intersted in having Tosten Marketing Build your WordPress website?